Faux finishes and historic decorating treatments that bring your dream room to life! We hope our photos will inspire you. Our e-books and pictures can bring your ideas to life. 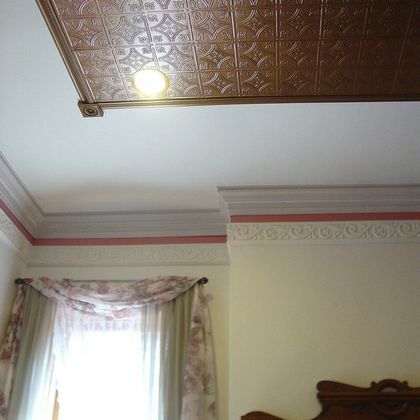 We'll show you faux tin ceilings, aged plaster finishes, wall and ceiling papers, gilding ideas and more! We've got over ten years of tips and techniques to show you! In 2019-2020 we'll be showcasing new DIY tutorials and e-books. Bookmark this site, or Follow Us on Facebook, or Follow our Pinterest boards! 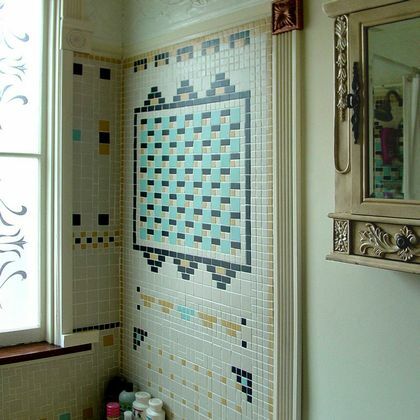 From plain to mosaics, add stencils, faux finishes, embossed wall coverings, Victorian three part wallpapers... there's no end to the variety! Faux finishes by the dozen! Ragging off, colorwashes, gilding, faux plaster -- you name it, we've probably done it. See the pictures! 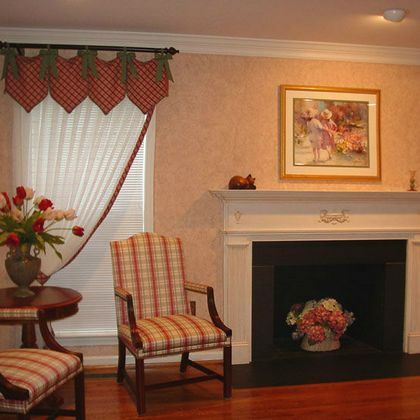 Licensed in DC, we decorated historic homes and condos across the Washington metropolitan area. Featured in newspapers and magazines, and now bring our tips online to do-it-yourselfers. We also distribute free e-books, and sell hand-crafted wood pet gates. Our upcoming May 2019 newsletter will discuss a paste based technique for creating stencils that will remind you of Italian sgraffito, and you needn't be Caravaggio to do it!